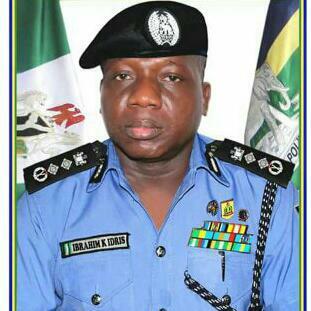 There are strong indications that the current leadership of the Nigerian Police under the Inspector General of Police (IGP) Ibrahim Idris is towing the digital route to curb crime and improve the prosecution of crimes in Nigeria. You will recall that IGP Idris recently launched the Public Complaints Rapid Response Unit (PCRRU) to fight corruption and abuse by police officers. The PCRRU engages citizens on all social media platforms. Now, the police has partnered with leading technology firms to develop and deploy an innovative mobile app as well as an enterprise crime management “iPolice-Hawk Eye”. Hawk Eye, a mobile app that will allow users to report crimes anonymously to the police by video, voice or text. It was developed by Lagos based tech firm Web Asset., which is working with US based tech firms BBGN&K and tech giant Microsoft to develop the system and provide key technologies such as facial recognition and KPI’s (Key Performance Indicators) with the active collaboration of the Nigeria Police. When users report crimes using Hawk Eye App, police patrol vehicles equipped with iPolice Mobile Device Terminals which receives reported crimes, dispatched by command and control center for immediate response to be on hand for quick and efficient response. With Hawk Eye app citizens are empowered as source of human intelligence in the fight against crimes such as kidnapping, terrorism, robbery, human trafficking etc. The system is expected to enhance the community policing plan recently announced by the government to improve security in the country. The project has been managed by DIG ICT, Foluso Adebanjo of the Nigeria Police Force. All reporting is ANONYMOUS, as the app does not identify nor capture the information of person filing report. System is now available to citizens in FCT and coming to Lagos in September with roll out planned for other States. To start using the app, visit the app store to download the Hawk Eye Crime Reporting app for free.Click here to download. Hawk EyeCrime Reporter is available in English and Native languages. (English, Hausa, Igbo, Yoruba and Pidgin).